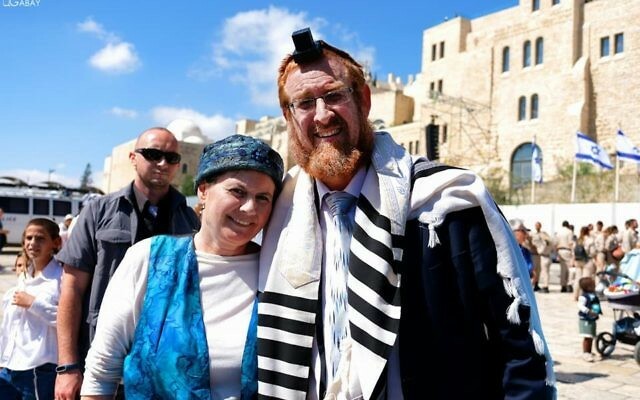 The wife of Likud lawmaker Yehuda Glick died six months after suffering a stroke. Yaffa Glick, 51, died Monday morning in the hospital, where she has been in a coma since she unexpectedly fell ill. Hundreds attended her funeral on Monday afternoon, offering support to the Knesset member and their eight children, including Knesset members from many parties. Yaffa Glick was a familiar face to the Israeli public following the October 2014 assassination attempt against her husband at the Menachem Begin Centre in Jerusalem by a Palestinian gunman over his Temple Mount activism. Yaffa Glick’s death on Monday became a political football as a vote on the so-called supermarket bill, which would keep local mini-markets closed on Shabbat, was scheduled for Monday and opposition lawmakers said they would not ask someone on their side to sit out the vote in order to offset Glick’s absence, as is customary in such cases. Coalition partner Yisrael Beiteinu, which also pledged to vote against the bill, also refused to extend the courtesy, leading to a war of words among lawmakers. Yehuda Glick called on all Knesset members to stop bickering. “I beg and beseech you not to turn my dear wife’s funeral into something to fight over. Please, have more love and positive energies,” he said in a tweet hours before the funeral. He announced her death on Twitter, tweeting: “Just minutes ago the love of my life returned her soul to the Creator.” The post included several photos of the couple, including a wedding photo. לפני דקות אחדות אהבת חיי החזירה נשמתה לבוראהברוך דיין האמת ??????????? ?